The notion of Account Based Marketing—targeting specific accounts with tailored strategies—is nothing new. Marketing companies have been engaged in this practice for decades. What’s changed is technology. The channels that have allowed inbound marketing to grow and thrive in recent years, like search, content and social media, now provide the framework for supercharged ABM programs. 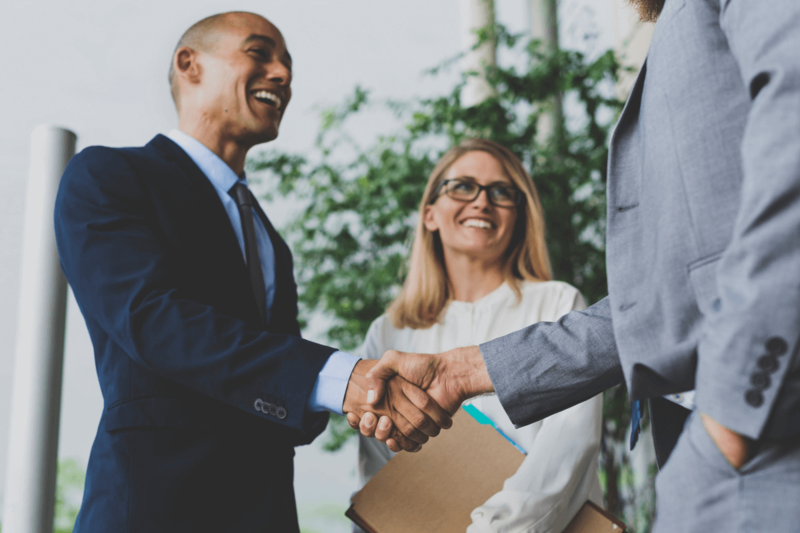 There’s been a resurgence of enthusiasm for more personalized B2B marketing, not least because this strategy does what typical digital marketing often doesn’t—it brings sales firmly into the fold. To craft a solid ABM plan and target specific clients requires an agreement between both marketing and sales as to which clients to target. This synergistic relationship eliminates the frustration that occurs when the two departments are fragmented, with sales going after one group of targets while marketing goes after another. Obviously, striving towards a common goal can land some big accounts. Below we’ve listed some examples of ABM marketing that used personalization to target specific companies and reaped the benefits. VITA was born in 2003 when the state of Virginia decided to consolidate all IT services under a single agency. They needed a partner, and it was a golden opportunity for anyone in the IT sector at the time. Enter Northrop Grumman Information Technology. Northrop felt they were perfectly positioned to land the VITA contract, but they were only a budding IT solutions company—back then they were better known as a builder of submarines. But rather than write-off the opportunity, Northrop Grumman dug in their heels and went to work. In classic Account Based Marketing strategy, they networked with VITA’s key players and researched its objectives. The process took a whopping three years, but in the end Northrop was able to translate that effort into a targeted branding strategy geared towards widening perceptions. Their integrated marketing campaigns had the desired effect of making VITA comfortable with Northrop’s identity as both a pillar of the Virginia business community and its best-in-class IT expertise. Northrop also reinforced this message by having their senior-level executives take part in speaking engagements, media interviews and community outreach. They want to great lengths to ensure that every interaction with VITA at every touchpoint reinforced the perception of Northrop as a leader in the IT sector. The result of all this effort was that it landed Northrop Grumman a whopping 10-year, two billion-dollar contract. The lesson here is to build a deep understanding of your targets goals before marketing to them. Don’t be scared to spend months or even years on branding and positioning initiatives before rolling out your marketing campaigns. What B2B sales department doesn’t dream of landing a Fortune 500 giant like McDonald’s? Of course, the rub is that all your competition has the exact same idea. The question then becomes how does your operation stand out when developing its marketing strategy? One marketing tactic that proved successful was when GumGum, a computer-vision company, used McDonald’s own brand to catch their attention. They sent out “burger kits” to 100 executives within the company. Each one was personalized in a unique way so that the kits contained a restaurant receipt imprinted with the name of each executive. Moreover, the food box contained faux burgers representing the famed Big Mac. Each level of the burger—the patties, cheese, special sauce, etc.—represented the company’s strengths, be it vision software or first-and-third-party data. GumGum rounded out this creative strategy with original short videos they promoted on their social media channels that tagged key decision makers within McDonald’s. The gambit paid off in that it garnered interest from the burger giant. Outbound marketing tactics like direct mail are often regarded as antiquated and ineffective. That said, they work like a dream in Account Based Marketing—provided you flex those creativity muscles. With ABM, if you have a wild enough idea, it might just put you on the map. That’s what happened for management software company Rapid7. After narrowing down their target accounts, Rapid7 personalized a direct-mail campaign to those accounts in the form of a View Master. Those of us of a certain generation remember those old reel viewers fondly from our childhood. 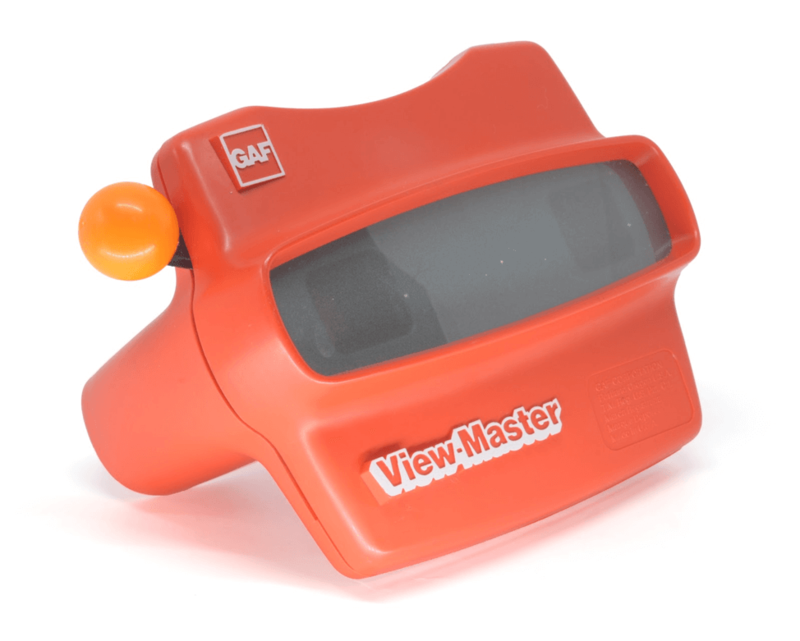 By sending out View Masters loaded with reels promoting their new software products, Rapid7 appealed to their targets’ sense of nostalgia and fun. The result was that their contacts loved the viewers and even requested more marketing materials be sent via that medium. This other example from GumGum illustrates the powerful ABM principle of treating each account as a market of one. For example, they noticed from perusing T-Mobile CEO John Legere’s twitter feed that he was a huge comic-book fan. With this information they didn’t need complex data modeling or protracted research time to craft a personalized strategy—they simply appealed to his interests. Again, they got creative, assembling a team of illustrators and writers who put together a promotional comic featuring T-Mobile and GumGum. They sent multiple copies to the company and Legere praised them on Twitter. In the end, that bold tactic eventually led to GumGum becoming a client. By combining today’s technology with fundamental ABM principles, you can innovate your marketing, take risks and stand out to your audience. Remember the fundamentals of ABM strategy: engaging your target accounts with fun and/or educational content; sending personalized emails to targets; leveraging social media; working with partners to promote your message across various channels, and leveraging direct mail when appropriate.